The La0.78Dy0.02Ca0.2MnO3 (LDCMO) compound prepared via high-energy ball-milling (BM) presents a ferromagnetic-to-paramagnetic transition (FM-PM) and undergoes a second-order phase transition (SOFT). 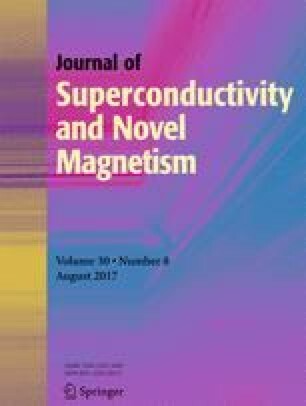 Based on a phenomenological model, magnetocaloric properties of the LDCMO compound have been studied. Thanks to this model, we can predict the values of the magnetic entropy change ΔS, the full width at half-maximum δ T FWHM, the relative cooling power (RCP), and the magnetic specific heat change ΔC p for our compound. The significant results under 2 T indicate that our compound could be considered as a candidate for use in magnetic refrigeration at low temperatures. In order to further understand the FM-PM transition, the associated critical behavior has been investigated by magnetization isotherms. The critical exponents estimated by the modified Arrott plot, the Kouvel–Fisher plot, and the critical isotherm technique are very close to those corresponding to the 3D-Ising standard model (β = 0.312 ± 0.07, γ = 1.28 ± 0.02, and δ = 4.80).Those results revealed a long-range ferromagnetic interaction between spins. This work was supported by the Tunisian Ministry of Higher Education and Scientific Research. The magnetic measurements at ESPCI have been supported through grants from Region Ile-de-France.